Our goal is to provide outstanding service to every customer, every single time they choose us. Our team is proud to bring an amazing work ethic backed with over 40 years of combined experience to every job. We strive for quality on everything we do and that's why we're the #1 choice for vehicle repairs, small engine repairs, and welding services in Chambersburg. 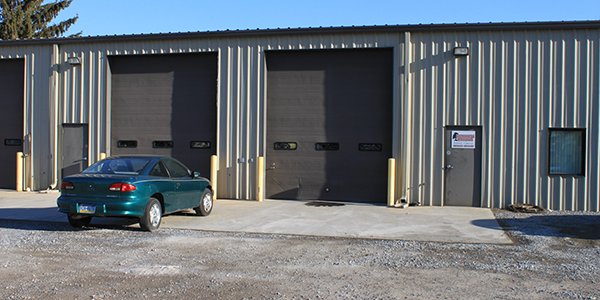 We are a family owned, Chambersburg based automotive service, small engine repair and welding shop. That's why we make sure we take care of every customer that chooses us. Hornbaker's Small Engine Repair & Welding is built on a family foundation and a community of satisfied customers. We are honored that many of our customers are repeat customers and that they continue to refer us to their friends and family. Our team is proud to a part of the Hornbaker's family and every member of our amazing staff adds a little bit of their own experience to our collective knowledge and skills. Combined, Hornbaker's has over 30 years of automotive repair experience, over 20 years of small engine repair experience, and over 30 years of professional welding experience.